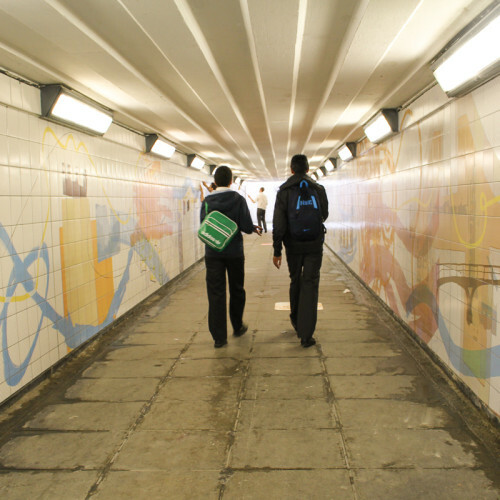 We were commissioned by Bow Arts and working closely with London Borough of Tower Hamlets and Bow School to help redesign a tired looking underpass beneath the busy A12 in East London – leading to the site of the newly built Bow secondary school. 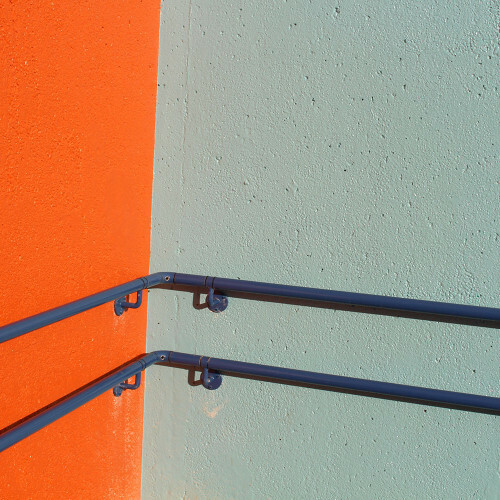 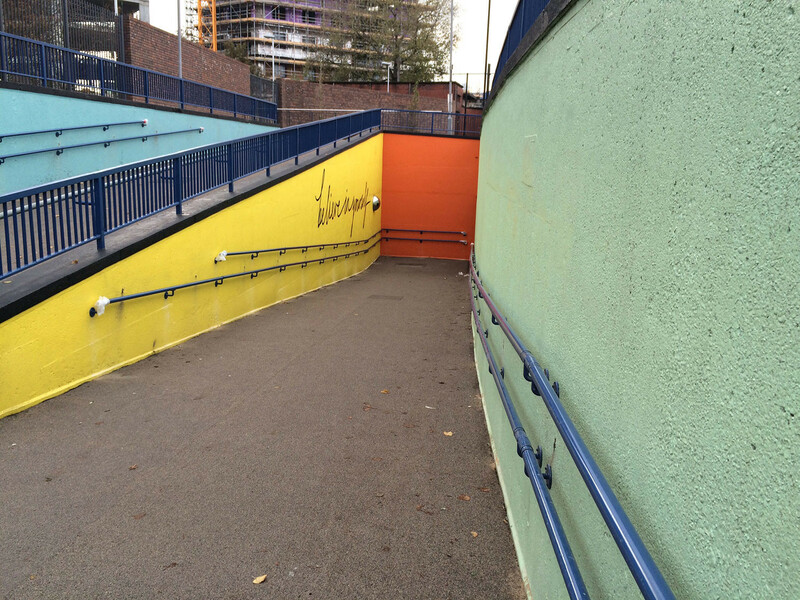 The school also wanted an entrance gate which would be welcoming and eye-catching and for the walls of the ramps to the underpass to be given a splash of colour. 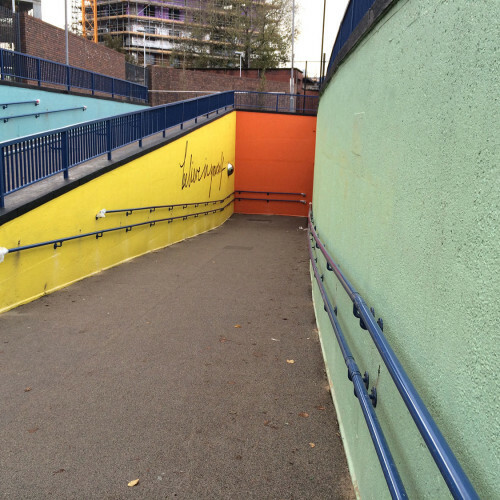 The opening of the final scheme was coupled with a series of temporary pavement asphalts that featured ‘words of wisdom’ from local people and led people on the safest route to the new school entrance. 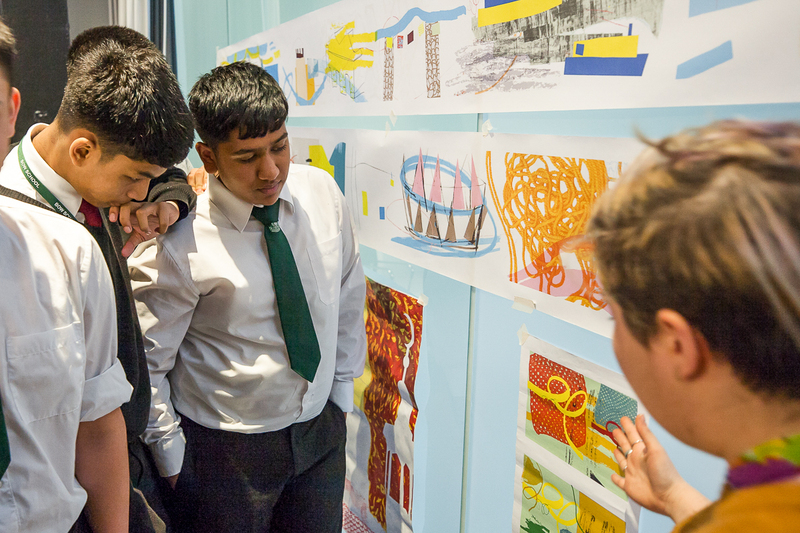 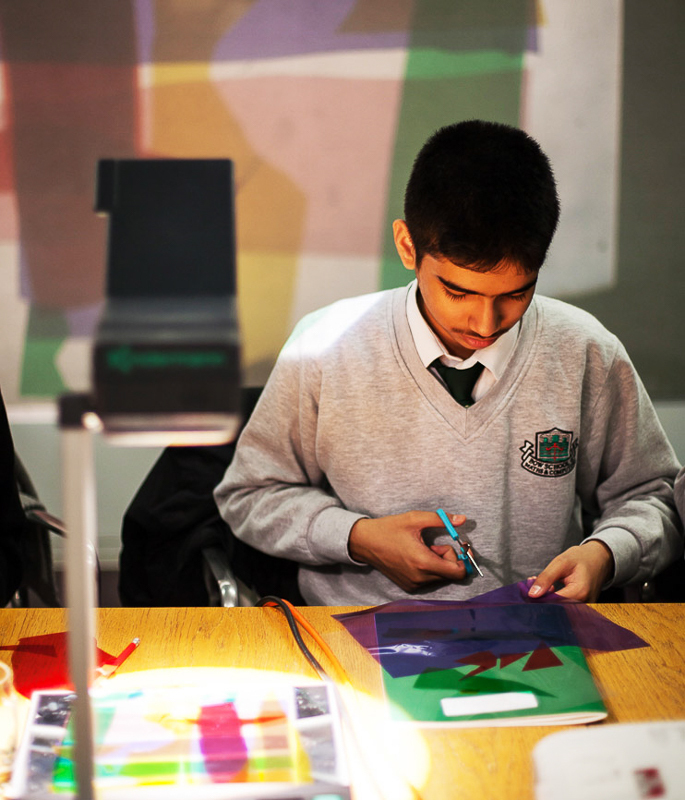 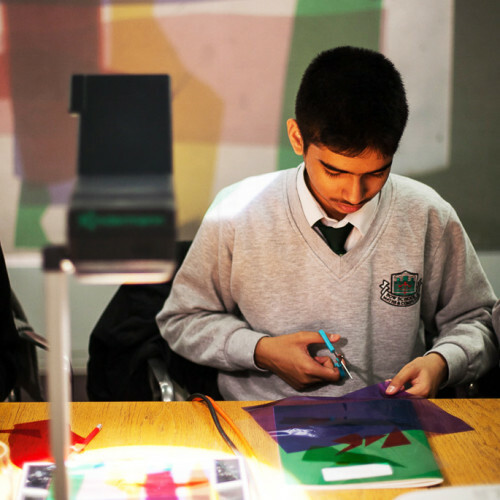 We worked with a group of students who had significantly helped inform the design brief and took part in our recruitment throughout the design process to fully involve them in co-designing the artwork. 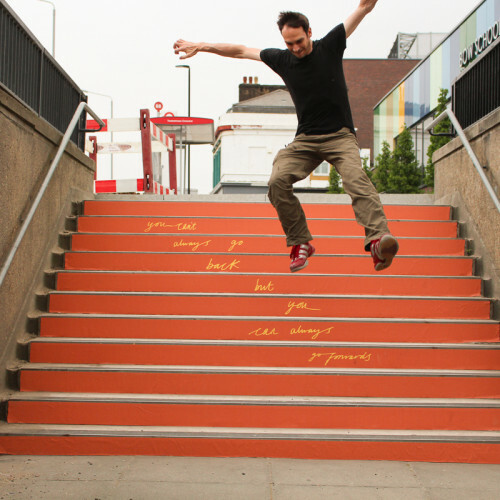 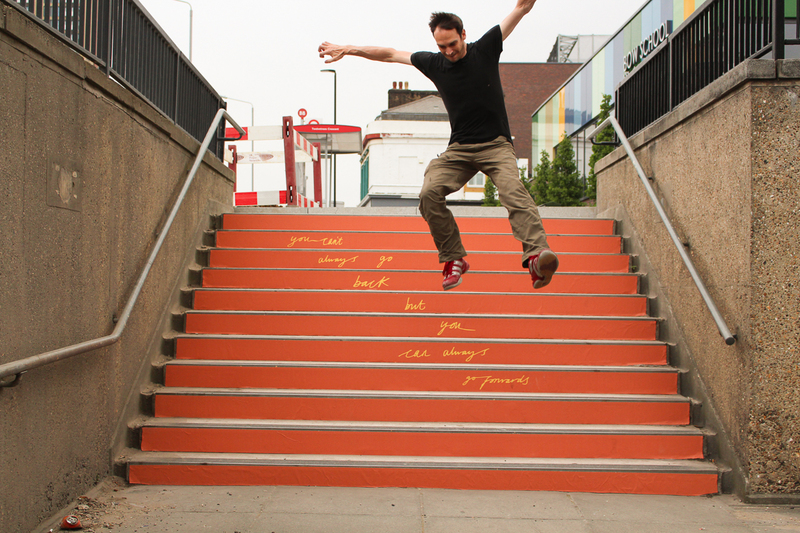 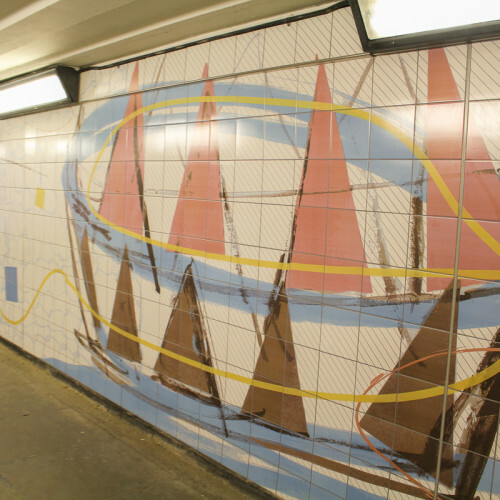 The group were keen for the artwork to ‘motivate’ people along their journey, and for it to feel ‘ever changing’ like the current built landscape of East London. 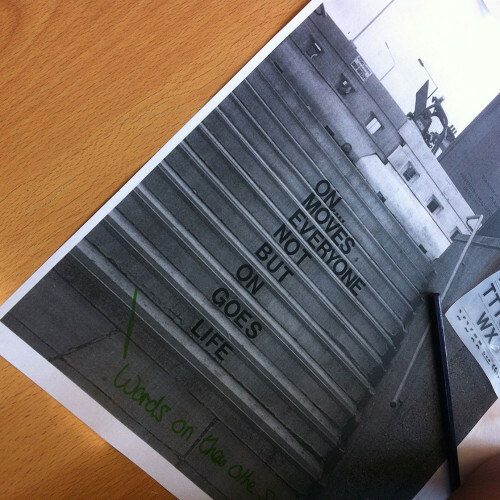 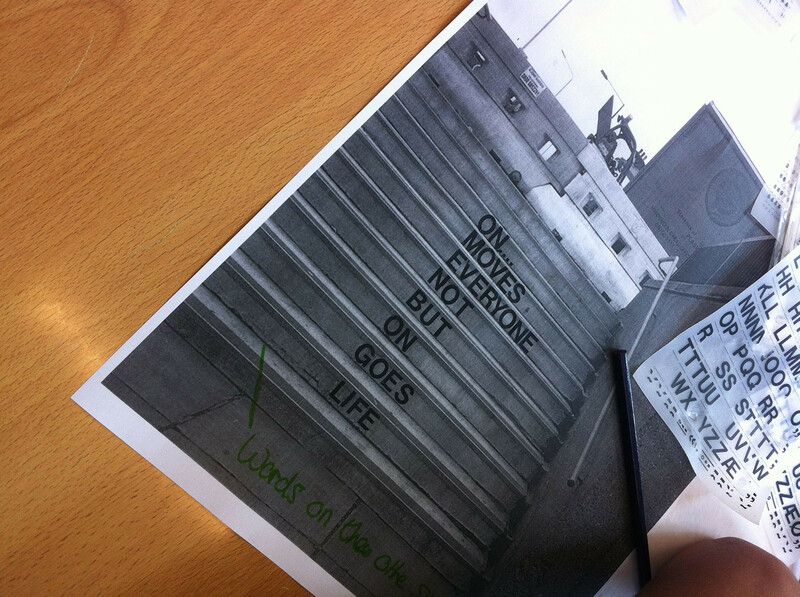 One pupil suggested motivational words on the step risers which were carried through to the finished design. 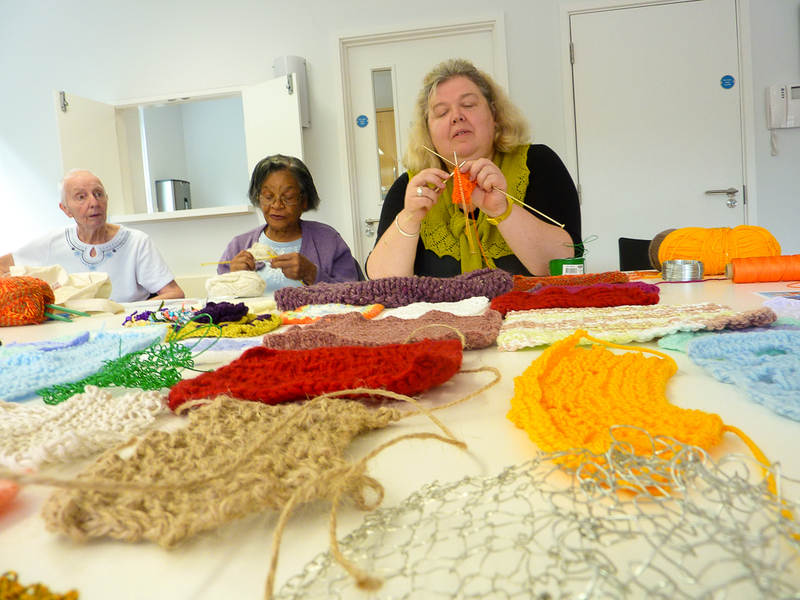 They wanted the design to capture the textures of place and patterns formed by people, so worked closely with a group of local knitters who helped create a number of unique textures for the collage. 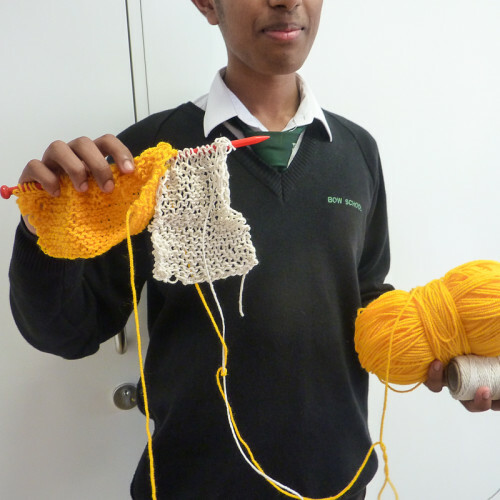 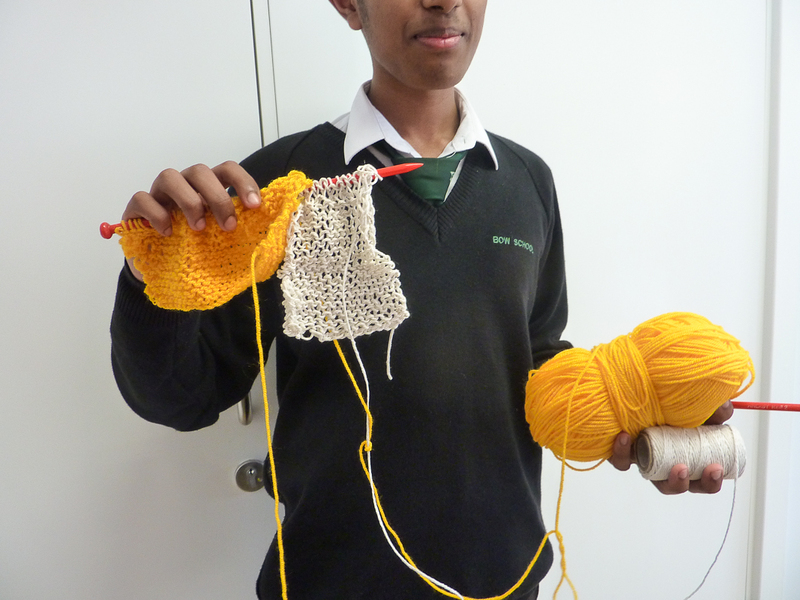 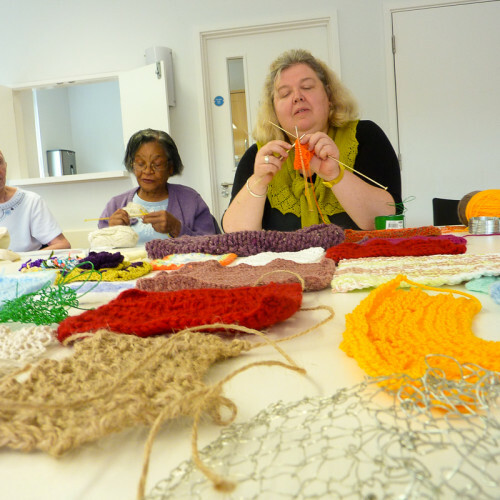 We then invited the Core commissioning group of teenagers along to learn how to knit, including experimenting with alternatives like wire and string. 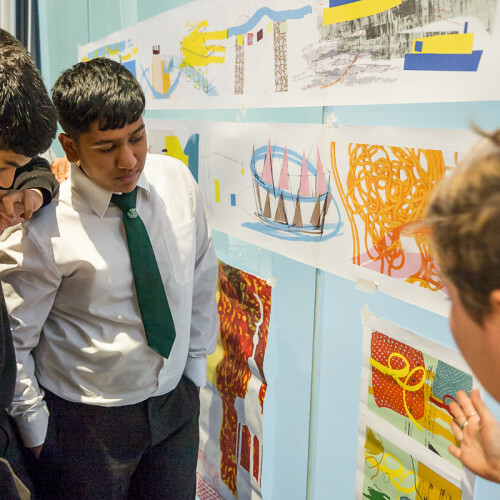 All of these components and narratives fed into the finished design which is a colourful, and uplifting journey through an ever-changing skyline of curiosity and movement. 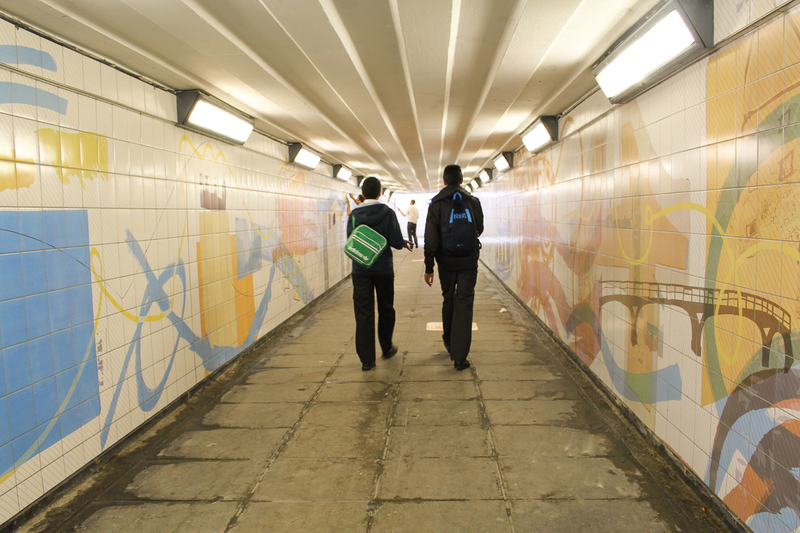 We also involved members of the surrounding community and businesses as the new school was to be a significant change to the area, and needed to build good relationships with its neighbours. 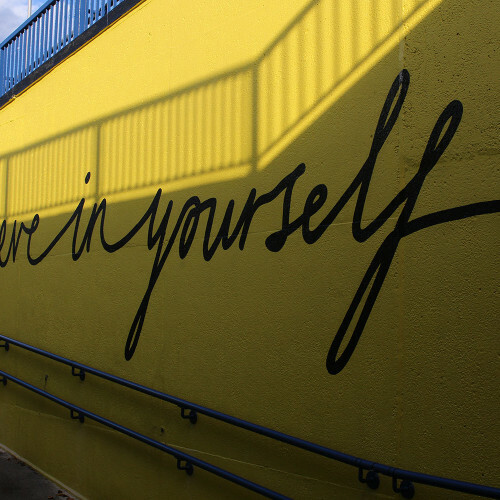 With the idea of ‘motivation’ in mind, we asked hundreds of local people ‘what advice would you give to your 13 year old self if you could?’ and collected words of wisdom from all over the area. 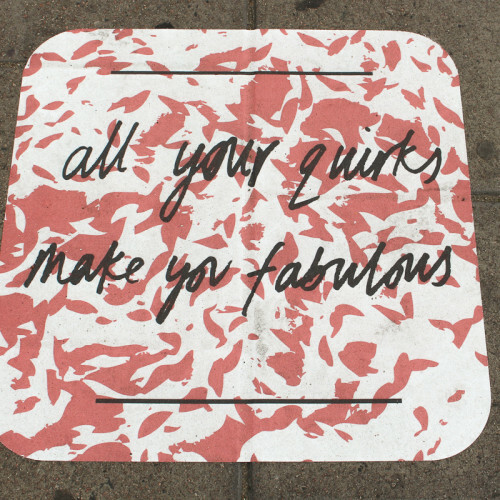 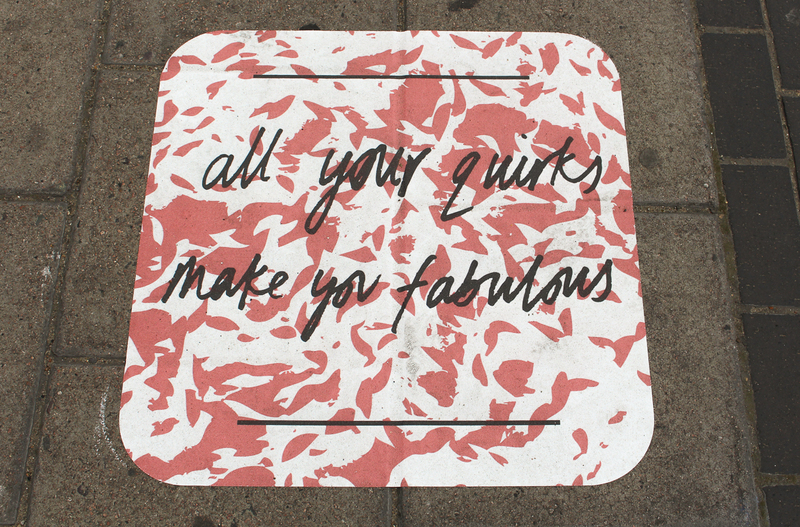 These words inspired a number of semi-permanent pedestrian way finding clues in the form of asphalt floor tiles. 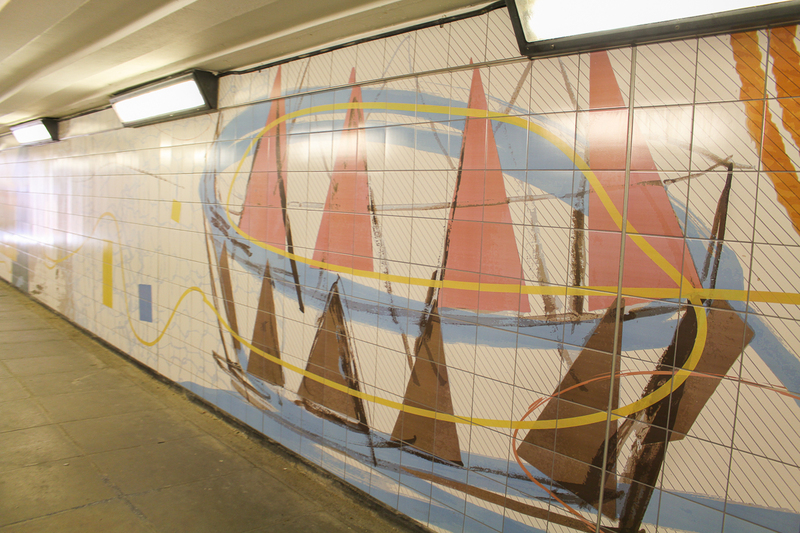 The underpass itself is 40 metres long, with 2 facing walls and was installed with digitally printed Art Tiles which were manufactured in the UK. 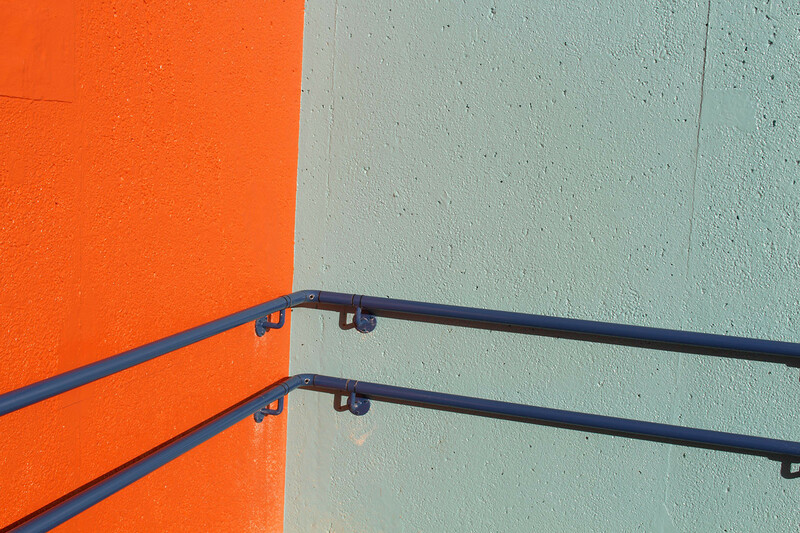 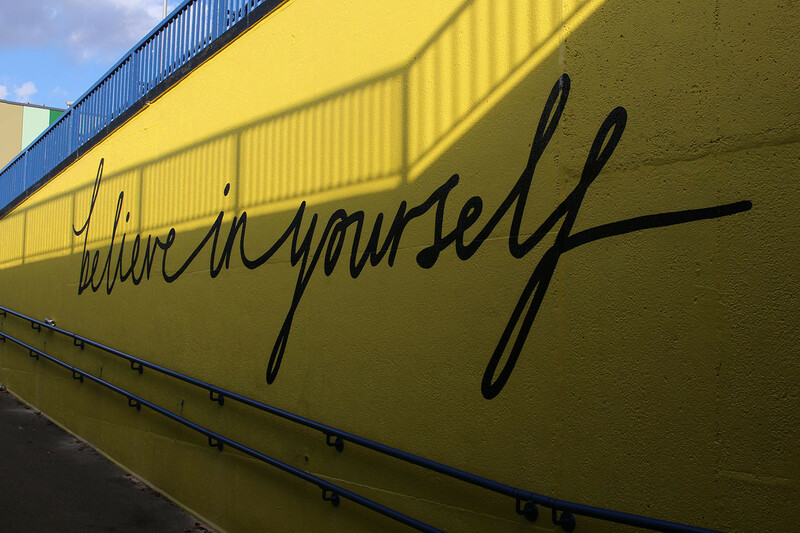 The entrance walls to the underpass were also painted to match the artwork and a large mural spelling ‘Believe in Yourself’ was hand painted on the school side of the walkway.